We use the word depression to mean at least two things. Depression can be an illness in itself. It feels like a state of being, a grey blanket over your life. This depression is not a feeling, but a numbness, an absence of feeling. This kind of depression can be an illness in itself or a secondary symptom of illness. For me, depression was a secondary symptom of Myalgic Encephalomyelitis. In times of difficult change, you may feel depressed about something. This is what happens when you suffer depression over loss of health. To give an explanation of this stage of grief which distinguishes it from the illness depression, I prefer to call it “grief”. Depression/grief over loss of health may also trigger depression as an illness. 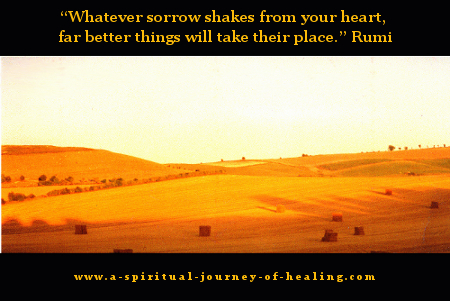 But often it is simply (though painfully) a time of numbness and withdrawal as you take in the extent of your loss. In the moment when you feel grief, you stop pretending this isn't happening, you stop trying to be brave. 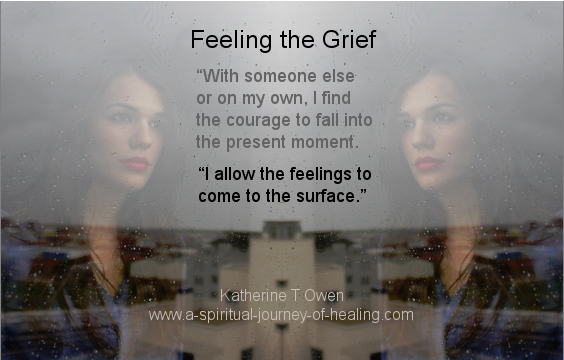 Your willingness to be with the other steps of grief prepares you to feel your feelings about your loss. You may have tried to avoid this feeling. Yet, in the moment of grief, you know that this is a good pain- one that leads beyond itself. Many years ago, when I became housebound with Myalgic Encephalomyelitis, I was finding it hard to cope with all the feelings that arose. I developed a simple technique of Releasing Judgment so I could practise self acceptance and self love. Please click through to receive a FREE ebook on Releasing Judgment. The Emotional Freedom Technique (EFT). In time, I will bring out a book of inspirations I wrote on the journey to help me feel my feelings. I hope that they will help you on the same journey. I work with the idea that our beliefs create our reality. If you experience disbelief about your own illness, the outer world may mirror back to you your disbelief by sending you people who don't believe you are as ill as you are. As you move through the steps of grief and loss towards acceptance of the illness, you may find that other people in your life also move forwards towards acceptance of the illness. Or else you may let go of those people who do not support you. Once you believe your own experience you may see clearly that someone is not going to change and that it is not good for you to spend time with them. You may attract into your life new people who show a greater level of belief in the illness. The empathy and sympathy you receive from others will then in turn help you to face up to the reality of your current life. With the support of yourself and others you may feel safe enough to feel your grief and sense of loss and continue to move fowards through the stages of grief. It's OK to feel miserable about being ill.
“Projection makes perception. The world you see is what you gave it, nothing more than that. But though it is no more than that, it is not less. Therefore, to you it is important. It is the witness to your state of mind, the outside picture of an inward condition. As a man thinketh, so does he perceive. 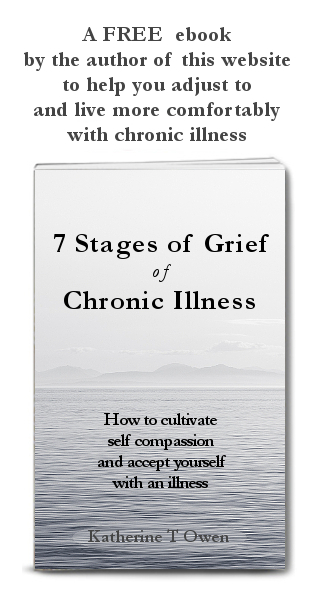 You may also be interested in reading more about my journey through this one of the steps of grief: I Had ME/ CFS and Depression.